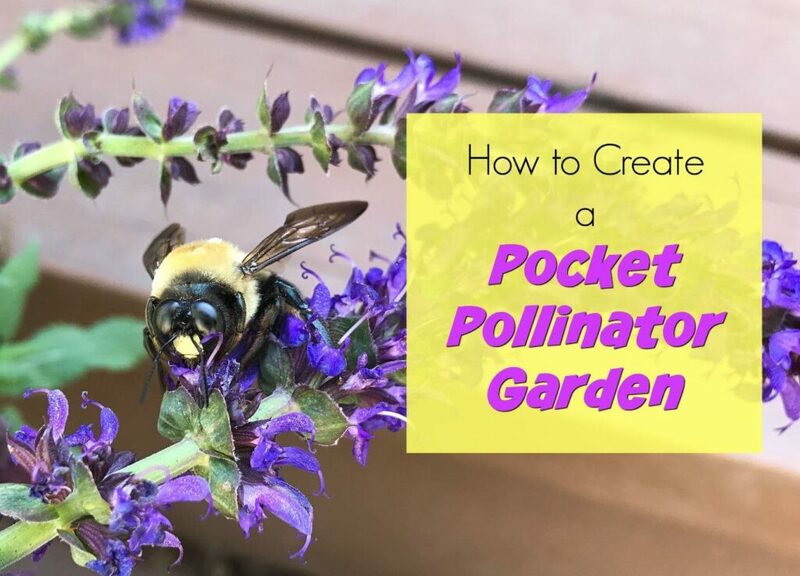 A pocket pollinator garden is one of the best ways to bring color and beauty to your yard while also helping wildlife. 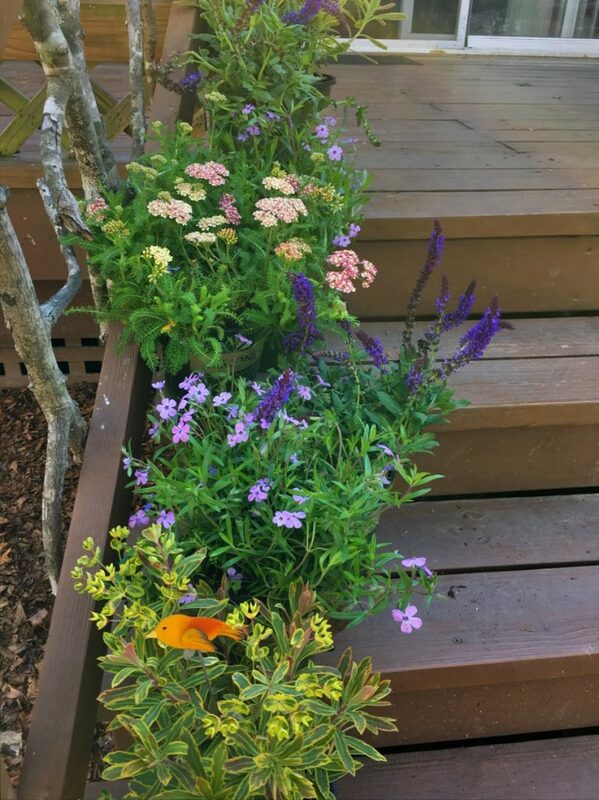 You just need a tiny space to add some beneficial plants that can do wonders for your happiness, along with survival for bees and butterflies. 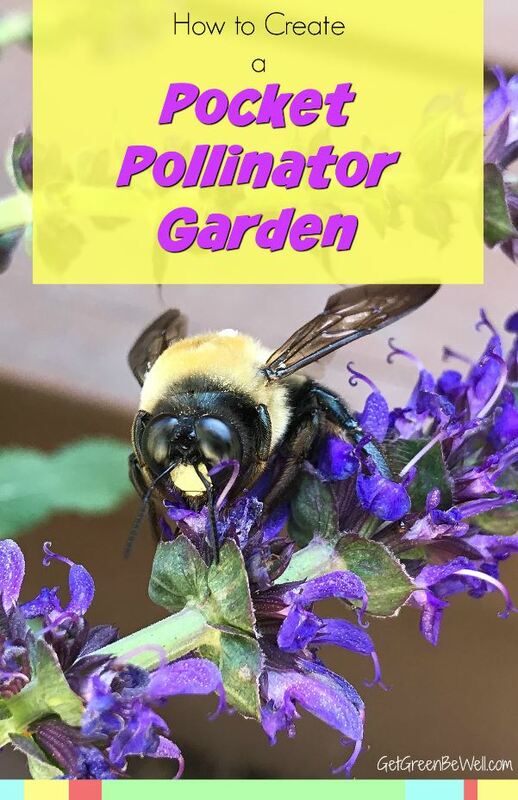 Wondering what a pocket pollinator garden is? It’s a tiny amount of space dedicated to plants that help bees and butterflies survive and thrive. 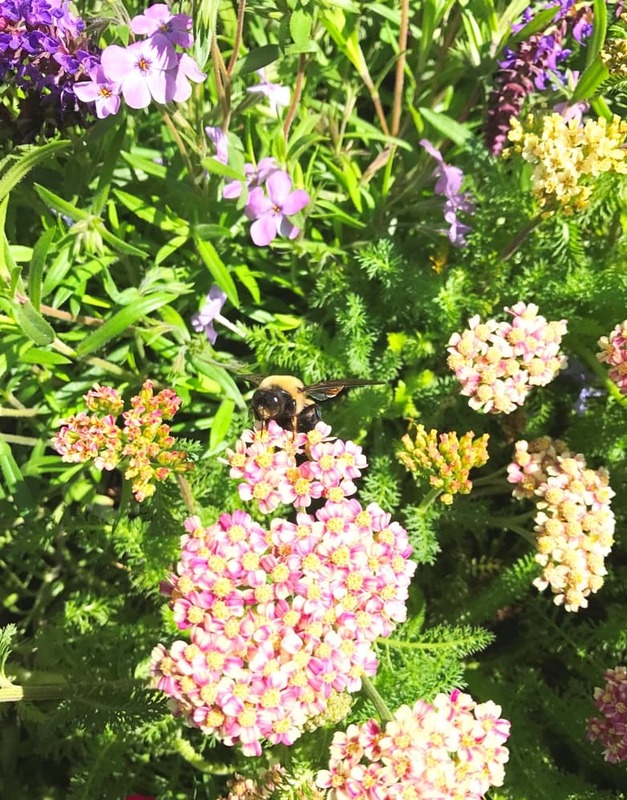 You might have heard about butterfly gardens or bee friendly gardens but don’t have enough time – or space – to do something that you feel will make a difference. Let me tell you, all it takes is a few plants and you can make the world a better place! 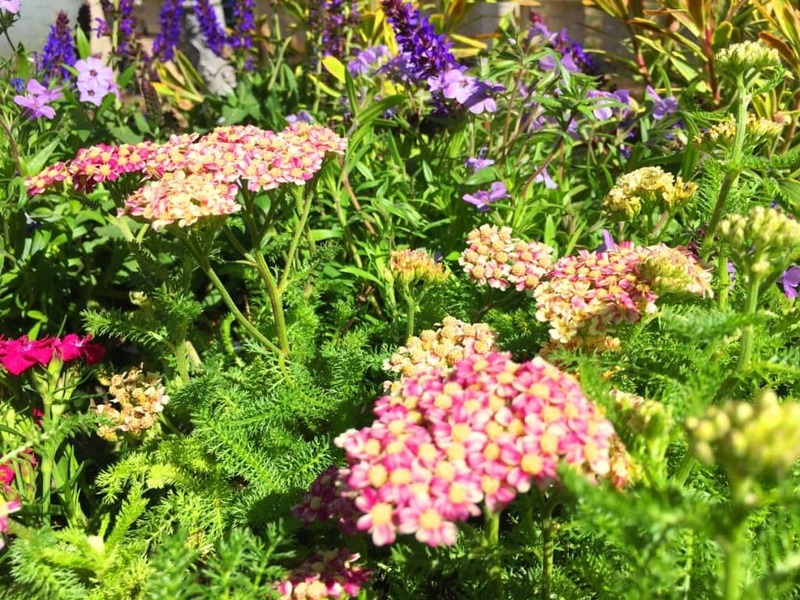 PLUS, these beautiful perennial plants will make you smile when you see the bright spring time blooms each year. That’s right – you only need to plant once, and they’ll return year after year! I used to live in a house in Orlando that had a sprawling backyard that I packed with tons of plants for wildlife. It was fun and I always enjoyed walking the yard to enjoy all of the flowers. It was my happy place and a sense of calm and peacefulness. So as I’ve moved from that huge sunny yard to smaller yards with not nearly as much room, I’ve worried about even trying to do anything at all. After all, would a small effort make any difference? As it turns out, YES!!!! 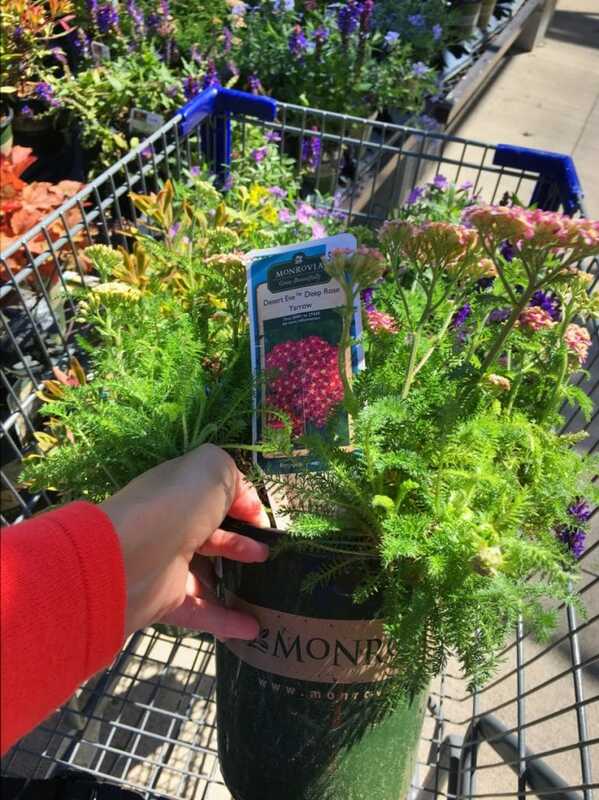 As the weather turned warmer this year, I headed to Lowe’s to buy some beautiful spring time blooms. As soon as the weather turns warmer and I sense Spring is on the horizon, I’ve got to get to a garden center. I. Must. Get. Flowering. Plants. 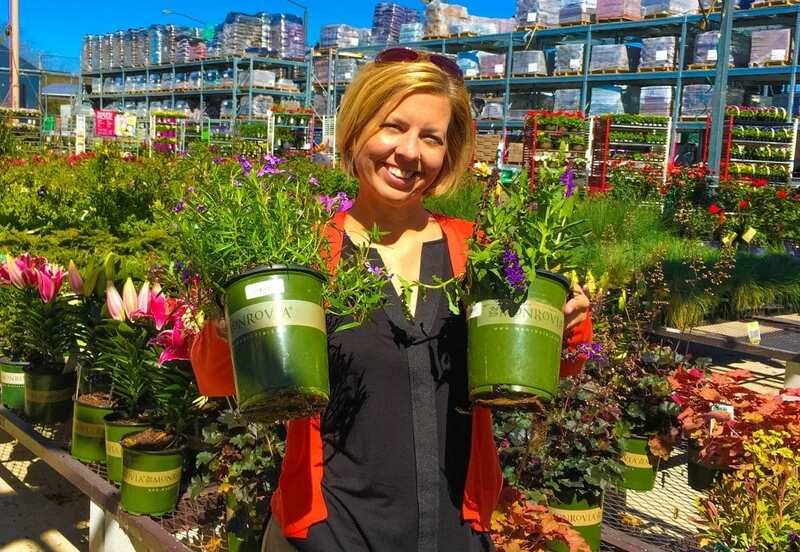 Some of the best looking spring time blooms in Lowe’s were Monrovia plants (Find a store locator here). 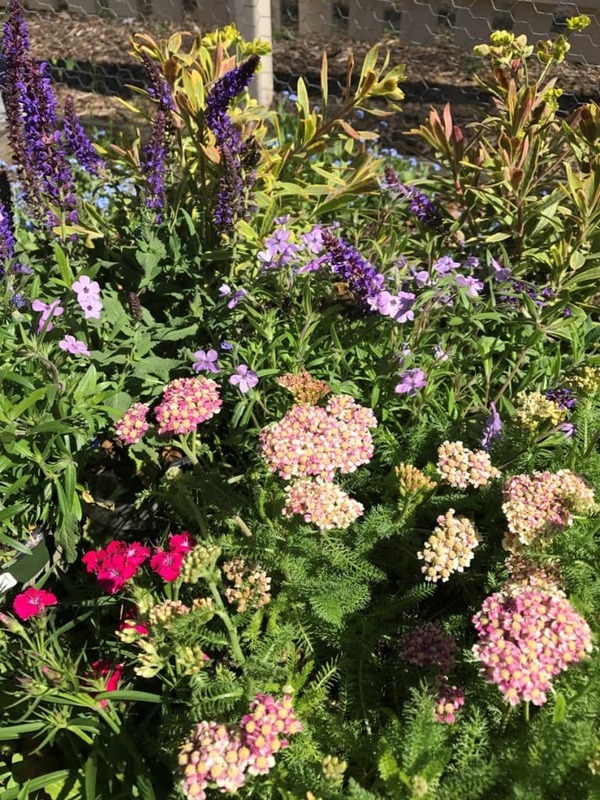 As a home gardener for well over a decade, I can appreciate that buying the right quality plant is the smartest decision you can make. You want to buy a sturdy, strong plant that will last more than a month or two. Trust me. Your time is worth a lot. Having to replace plants takes way too much time in your life. FYI: This list of Flowers That Thrive in Summer Heat is spot on for gardeners in Texas, Florida and other hot places! I have used every single one of these plants in my own Florida yard and totally agree with all of the selections! 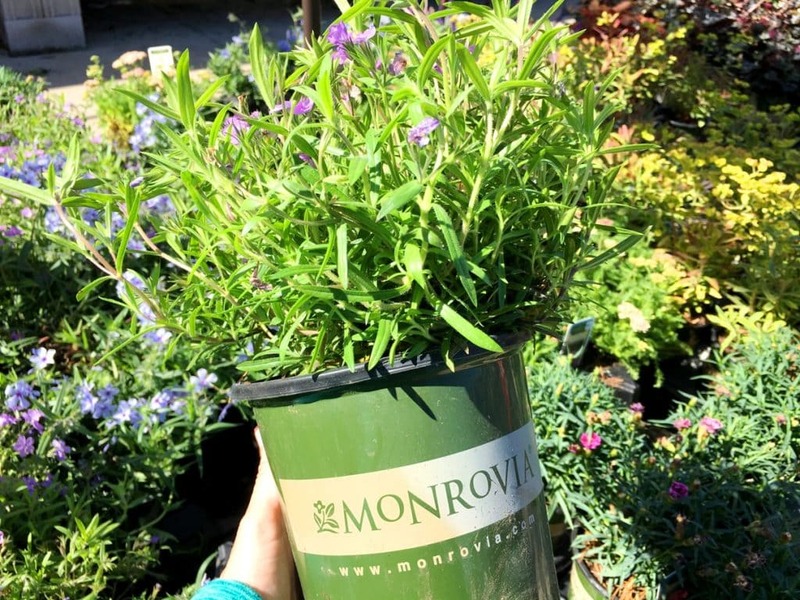 Planting these Monrovia selections today means that you get the flowers while they’re in-season (OH, SO IMPORTANT!) and they will last. The last thing you want to do when the BBQ comes out and the weather calls for lazy days on the front porch is having to replant your plants. I love that the plants that I chose are perennials, too. 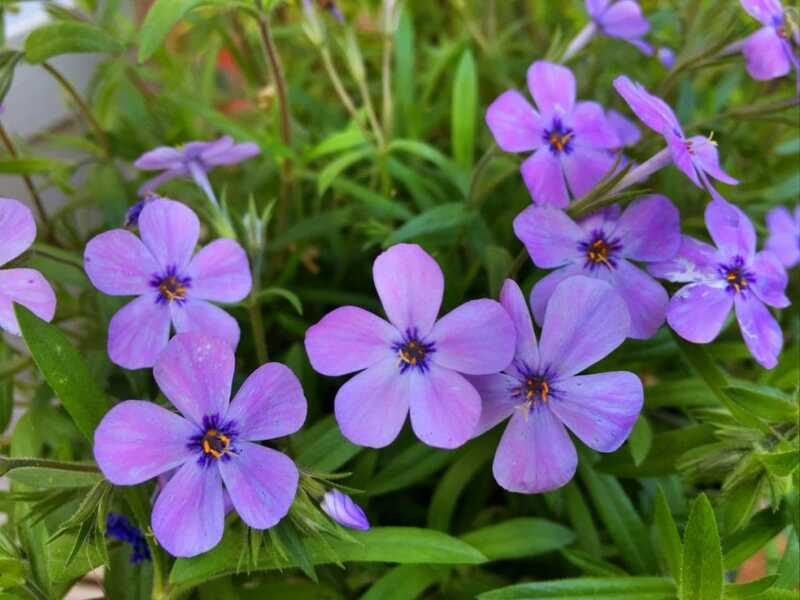 What is a perennial? It means that the plants will come back year after year, blooming when they are in season. Think about it. You just have to plant ONCE, and you get multiple years of beauty and color each spring. Win-Win situation, don’t you think?!? When at the garden center, there was a nice selection of Monrovia plants with gorgeous flowers that were in-season. These are the plants that are going to bloom NOW – not months or a year from now. That’s important. Because if you want a pop in color instantly, you’ve got to work with Mother Nature. Buy the plants that are perfect for the season that you’re in now. I also paid careful attention to the plant tags. Now that I’m in North Carolina, I’ve got to consider frost and cold temperatures more so than when I was in Florida. I definitely checked the cold hardiness temperatures. I was delighted to find that most of the Monrovia plants that I purchased had ratings down to -10 degrees or less. I bought many of them for their attraction to pollinators, including bees and butterflies. 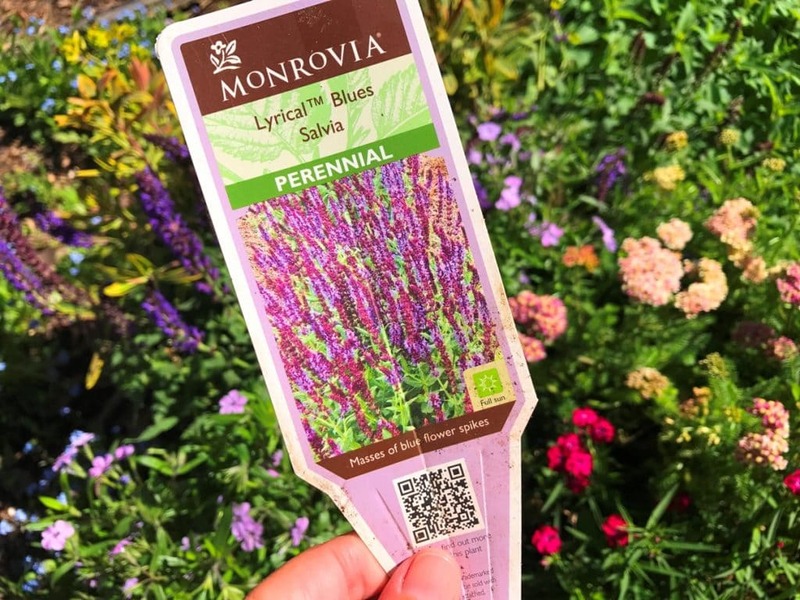 The Monrovia Lyrical™ Blues Salvia I KNEW would be great for bees and butterflies. In fact, I was talking with my mom in the garden center and another woman overheard our conversation. She asked if the plants would be great for butterfly gardening. I said, yes, I’ve had great success with them. She picked up two pots and instantly put them in her shopping cart. The Monrovia Ascot Rainbow Euphorbia I added in among the flowers because of the amazing variegated foliage with bright coloring. I thought it was a good back drop and mix to the flower garden. I don’t have a lot of space in North Carolina to plant now. However, we do have a vegetable garden raised bed. 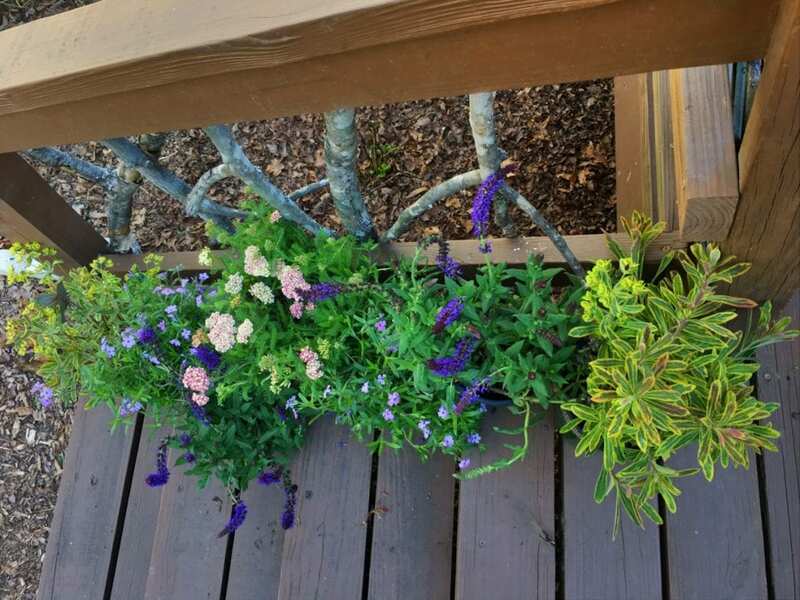 It’s the perfect place to add a pocket pollinator garden. The vegetable garden isn’t exactly blooming at the beginning of Spring (though there is a lot of greenery and some dianthus already). Far from it. Yet a pop of color would be so welcome right now! 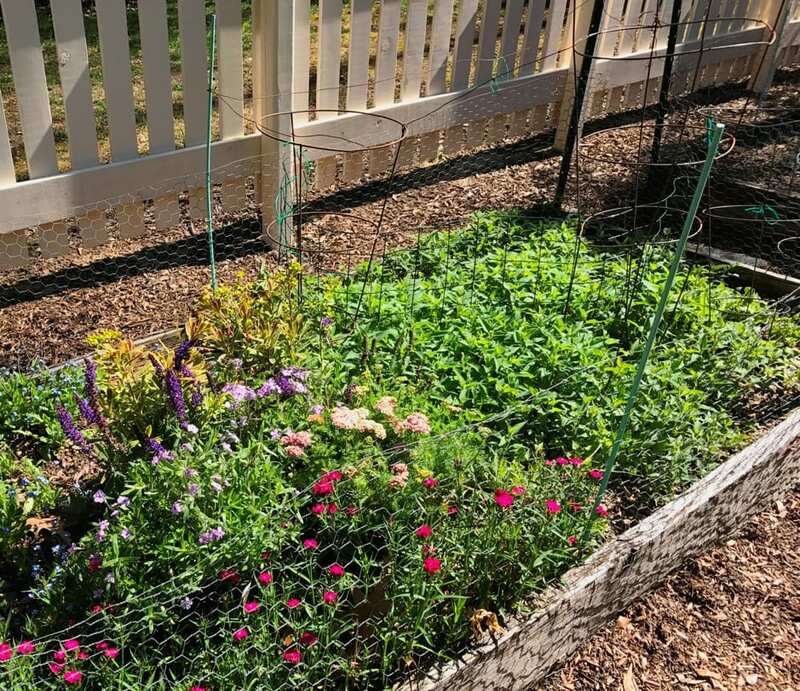 So we devoted a small space in our square foot garden to be plants that are full of beautiful blooms in Spring, well before the veggies start growing. Instantly – INSTANTLY! – the bumble bees found the plants. I’m talking like in 5 minutes of putting them in our garden. It was crazy! The pollinators were so thankful, too. It’s like they honed in on the only pollination plants available for miles around them. It was such a joy to see color and life back in the garden so quickly! It adds beauty to the landscape NOW. That goes a long way in bringing happiness (read about flowers’ health benefits). 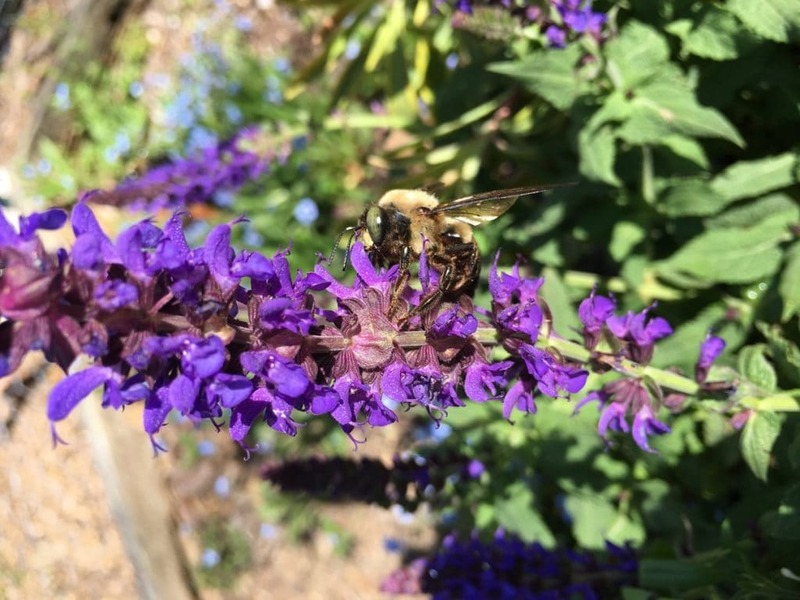 Pollinator plants help encourage fertilizing the plants in our garden. The color of the flowers is a nice addition to the mass of green from a produce garden. The size is manageable, so I’m not losing much space, but gaining a lot of rewards. What if you don’t have a garden bed, though? Or think you don’t have any more room for plants? Or – what if you just don’t like digging the yard. You want something quick, easy and simple. Here’s another solution that I almost went with. I wanted to let you know about it in case it’s the right solution for you. 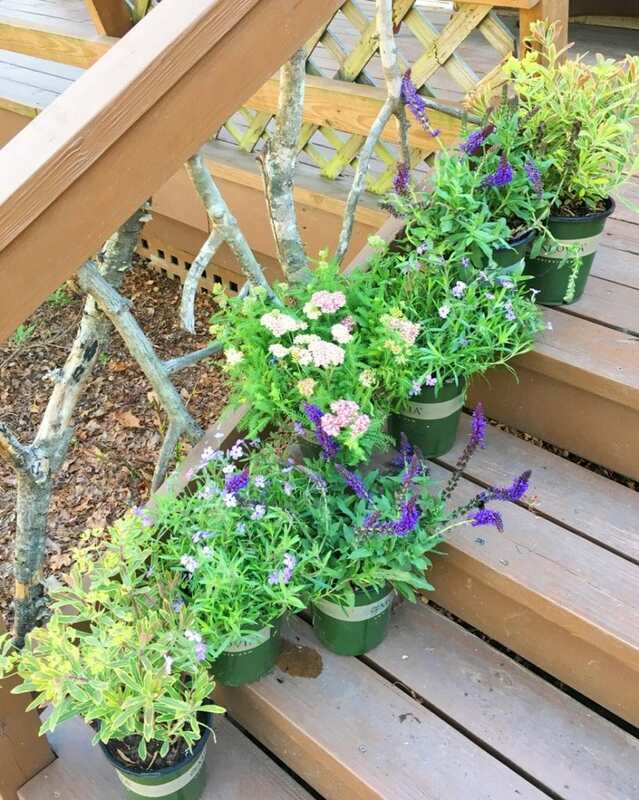 I love the look of flower pots on stairs. LOVE IT! A pollinator garden that’s bee friendly and/or butterfly friendly doesn’t always have to be in the ground. 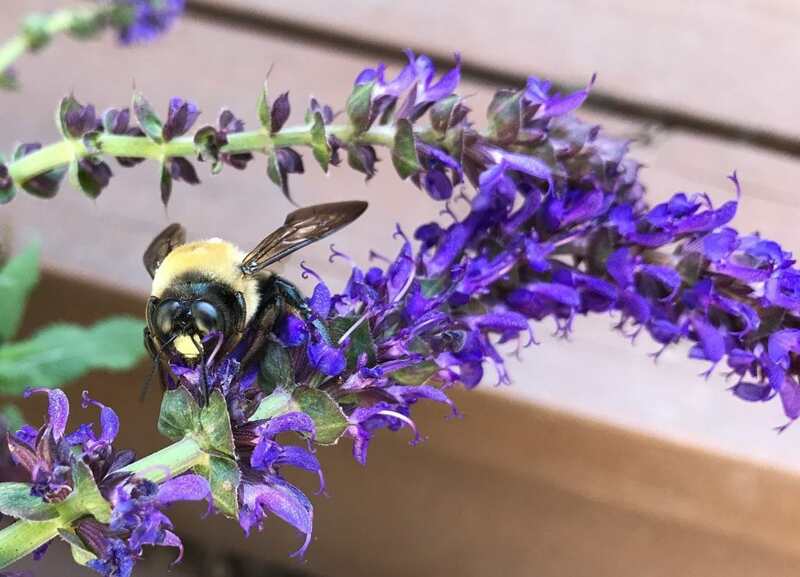 As long as the plants are there, the bees and butterflies don’t care how you’ve planted them or how much time it took. Nestling the plants in pots going up the porch stairs was absolutely gorgeous, too! If I had bright colored pots, it would have been amazing. Again, I chose not to pursue this option, but this is an idea for you to pursue for a pop in color this spring, too. It’s so easy! 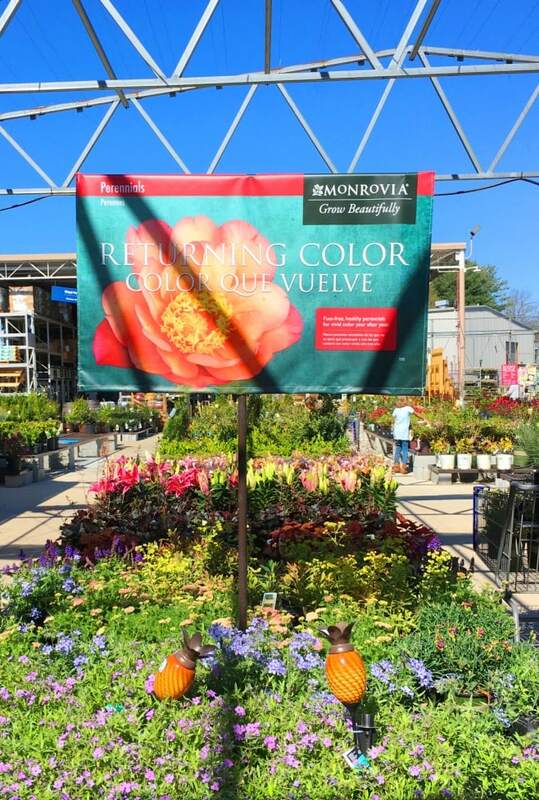 Either way, you’re going to have an instant pop in color when you buy Monrovia plants that are in season. Add them to your yard now, and get ready to sit back and relax and enjoy the beauty. I truly, truly can’t imagine starting Spring without shopping for plants. It’s such an integral kickoff to warmer days ahead for me. There is something almost inherent in our DNA that craves color and delicate blooms as the seasons change. Don’t you think? For me, Spring hasn’t really sprung until I’ve got blooming flowers in my yard or on my porch. 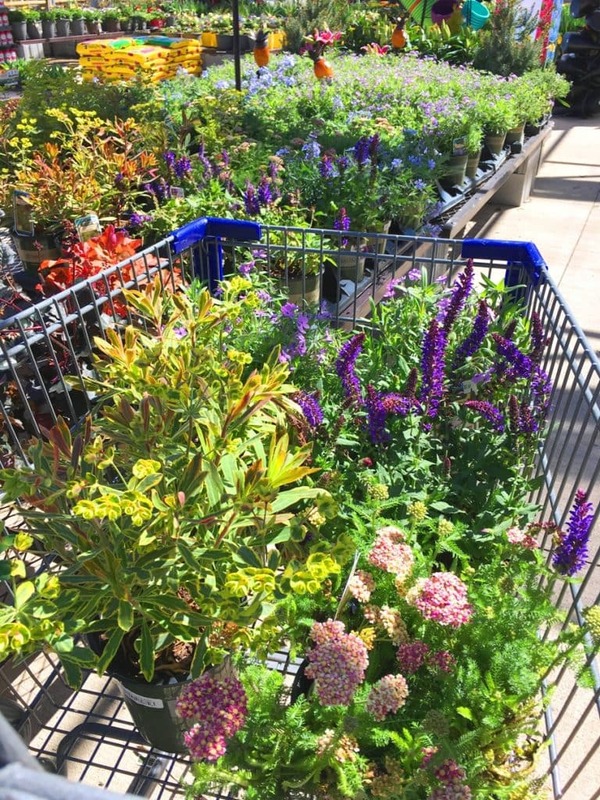 Get to your local garden center today and you’ll see how buying plants can inspire a happy shift in your thoughts instantly.